"Discipline is not control from the outside; it's order from within." 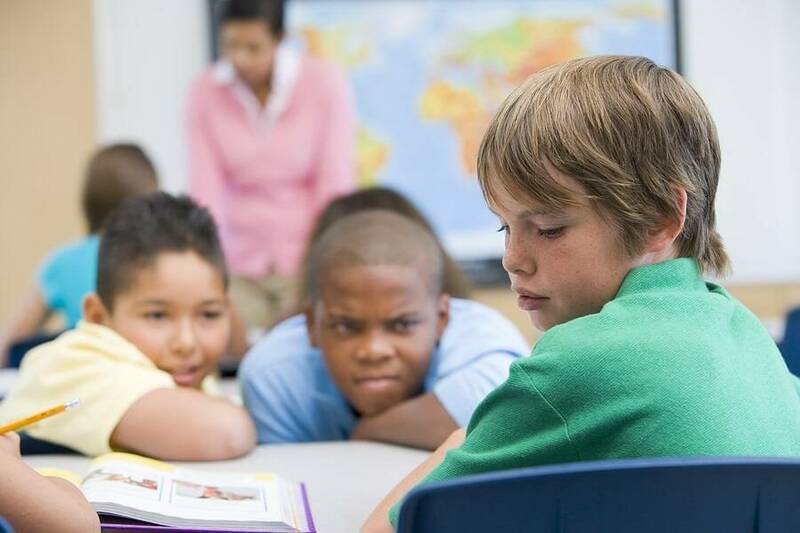 This article will help you establish and maintain the classroom discipline atmosphere you want. New teachers will find this resource particularly valuable. Practical suggestions and guidelines are given such as using positive presence, modeling behavior you desire, low-profile intervention among many others. Teachers often make the mistake of using “stop” messages rather than a “start” message. For example, “Stop talking. We need to get started.” A better message is “Get out your math books, and turn to page 44.” The effect is tremendous. It establishes a productive, businesslike tone for the lesson. The focus is not on the (negative) behavior, but the importance of the lesson. Discipline is not about getting kids to do what you want them to do. That's what dictators do, and you're not a dictator—you're an educator. Discipline is providing an environment in which positive teaching and positive learning can occur simultaneously. Discipline is not control from the outside; it's order from within. In conversations with teachers, I've discovered some practical and universal ideas that will help you achieve discipline in your classroom. Tap into the experience of these pros, and turn your classroom into a place where students learn and enjoy the process. Greet students at the door. Interact with your students on a personal level every day. Greet them by name, interject a positive comment or observation, shake their hand, and welcome them into the classroom. This sets a positive tone for a lesson or for the day. Get students focused before you begin any lesson. Be sure you have their attention before you begin. Don't try to talk over students; you'll be initiating a competition to see who can speak louder and also let them know it's okay to talk while you are talking. Use positive presence. Don't park yourself in the front of the classroom. Move around the room continuously, and get in and around your students. Make frequent eye contact, and smile with students. Monitor students with your physical presence. Use low-profile intervention. When you see a student who is misbehaving, be sure your intervention is quiet, calm, and inconspicuous. Use the student's name in part of your presentation, for example, “As an example, let's measure Michael's height in centimeters.” Michael, who has been whispering to his neighbor, hears his name and is drawn back into the lesson with no disruption of the class. Verbal reprimands should be private, brief, and as immediate as possible. The more private a reprimand, the less likely you will be challenged. The more immediate the reprimand, the less likely the student will feel you condone her or his behavior. And keep reprimands brief. The more you talk, the more you distract from the lesson and the more you “reward” a student for inappropriate behavior. Acknowledge positive student behavior when it is not expected. Acknowledge hard work, kindness, and dependability. If you have a rule, enforce that rule. Don't hand out lots of warnings without following through on consequences. Lots of warnings tell students that you won't enforce a rule. Be fair and impartial. The rules are there for everyone, and that includes girls as well as boys, tall people and short people, students with freckles and students without freckles, and special needs kids as well as gifted kids.